As one of Chicago’s top ten residential real estate agents (and #77 in the nation according to The Wall Street Journal), I am a frequent source for the media. 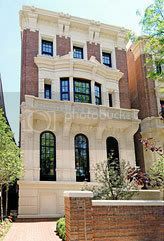 I always enjoy the opportunity to share my “in-the-trenches” perspectives on Chicago’s residential market, as I believe that what is happening locally is more relevant to Chicago homeowners than generalized national reports. Unfortunately, as with any interaction with the media, there’s the risk of having one’s comments taken out of context, and that is precisely what happened in my July 2009 interview with Stephane Fitch for his Forbes magazine story entitled “America’s Most Troubled Luxury Neighborhoods.” Fitch distilled our 30 minute interview into two quotes that, out of context, contradict the key points I made in our interview. 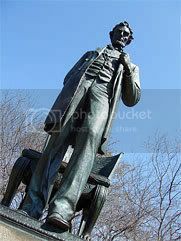 Having my name associated with misleading information about Chicago’s real estate market, and especially about the Lincoln Park neighborhood where I was the #1 selling agent in 2008, is troublesome. Increasingly, Chicago is known for a different kind of theater. Hollywood may be known as the movie capital of the world, but thanks to Chicago’s unique character (and some Illinois tax credits), our city is playing an increasing role in major film productions. Recently, The Windy City stood in for the fictional Gotham City in Christopher Nolan’s new Batman film series. While I was not able to catch the latest installment, The Dark Knight, in theaters, it was hard to miss the crew as they were filming around town in the summer of 2007. According to the Chicago Tribune, The Dark Knight crew shot for a total of 65 days in 35 different Chicago area locations. When I think about Africa, my mind goes straight to the “Big Five.” These are the “trophy” animals that visitors often hope to see while on safari. They include the rhinoceros, elephant, leopard, buffalo and lion. 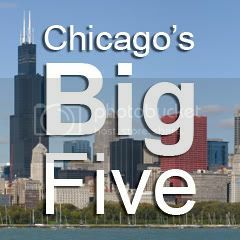 Here in Chicago’s urban “jungle” we may not have thousand pound mammals roaming our streets, but we do have what I call my own “Big Five.” Many of my favorite childhood memories tie back to the time I spent in each of these places. Whether you are a lifelong resident or a tourist in our fair city, be sure to explore these world-class institutions when you have the chance. 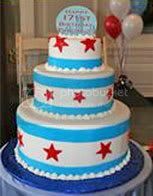 Happy birthday, Chicago! 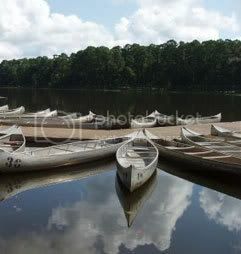 On today, March 4, it has been exactly 172 years since Chicago was granted its charter, having been founded on a short, swampy portage near the Chicago River and named after a wild onion (humble beginnings, yes). 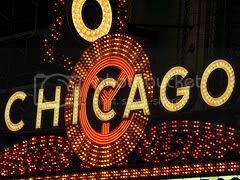 Since then, Chicago has been the hog butcher for the world, the birthplace of the skyscraper, and the home of more cultural contributions than can be listed. This year, times are tough (though the city has seen tougher), but there are also many exciting potential opportunities on the horizon (such as this and this). As a Chicagoan from a long line of Chicagoans, today is a proud milestone. If you’re up early reading this and have an open schedule today, you can celebrate Chicago’s birthday with your kids at the Chicago History Museum where they’re throwing a party with music, crafts and cake from 10:00 a.m. to 1:00 p.m. Museum admission will be free from 9:30 a.m. to 1:00 p.m.